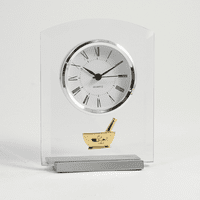 FEATURES/SPECS Reward your favorite legal eagle for a job well done with this glass quartz desk clock for lawyers. 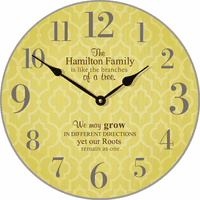 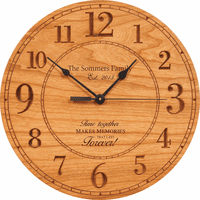 Perfect for thanking an attorney for exceptional legal work or as a gift for a loved one in the law profession, it features a large quartz clock in a glass setting. 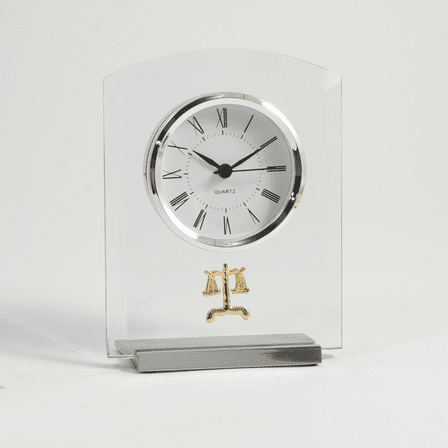 The glass base is set in a brushed steel base and it features a brass legal scales emblem below the clock. 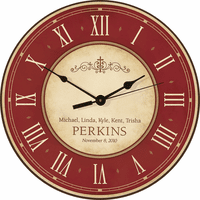 Perfect for displaying on a desk or shelf, this desk clock for lawyers is a gift that will be appreciated.